While the utilization of NGS is going to be a routine part of clinical practice within five years, the ability to make sense of genomic data will take many more years. Dr. Smith’s lab relies on cutting-edge genomic technologies to better understand the molecular alterations that underlie cancer development. 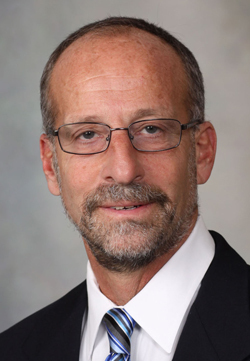 He is also chairman of the technology assessment committee, which works for the Center for Individualized Medicine at the Mayo Clinic. The committee’s goal is to evaluate new technologies that could have a significant impact on research and its clinical translation. The most exciting technology has been the recent advancements in DNA sequencing, which now make it possible to sequence a person’s entire genome for just a few thousand dollars, according to Dr. Smith. Looking at cancer, his lab’s focus, Dr. Smith believes that in five years about 90% of the upper-tier hospitals in the U.S. will be doing genomic and transcriptomic sequencing of the type of cancer with which a patient presents. “The medical team will compare the genetic fingerprint of the patient’s cancer with that of his or her normal cells. That comparison will become part of the clinical diagnosis,” he says, adding that deciding on the best therapy based on the genomic data will probably have to wait for another ten years or so. This therapeutic challenge arises from the well-known “big data” issue, notes Dr. Smith. “Over time we are going to have collected genetic patterns from thousands and thousands of human genomes. Our task will be to figure out which patterns are real and which are just noise,” he says. Another challenge, he suggests, is the need for standardization of the data. Not for gene sequencing which is a straight base call but definitely for “gene expression and RNA-Seq data because there is variability and uncertainty involved here,” maintains Dr. Smith. Elaine Mardis, Ph.D., agrees that genetic engineering therapy for people is not arriving anytime soon. Dr. Mardis, the co-director at The Genome Institute of Washington University and a professor of genetics, believes that researchers will probably have the ability to detect and repair DNA errors at the preimplantation embryo stage in about ten years. She points out that we know that BRCA1 and BRCA2 are prognostic for women to develop breast and ovarian cancer. 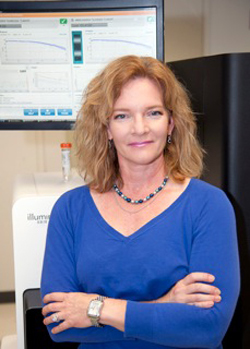 Dr. Mardis strongly believes that next-gen sequencing is the major driver of clinical genomics. Dr. Mardis adds that supporting technologies such as computer science and computational pipelines are also necessary for the successful integration of clinical omics into standard medical practice. Dr. Mardis notes that another key clinical genomics driver is the fact that many children who currently come to a medical genetics clinic with an uncertain diagnosis immediately undergo some type of sequencing, primarily exome sequencing to aid in the diagnosis. Establishing clinical utility, i.e., how fast you can get an answer about the child’s condition, is enhanced by exome sequencing rather than single gene-by-gene testing, according to Dr. Mardis. Dr. Mardis stresses that big data analytics will address some of the cost equation. “Most of the cost is not in the DNA sequencing process but in analyzing the data,” she points out. In general, she finds no problem with data standardization as currently practiced. 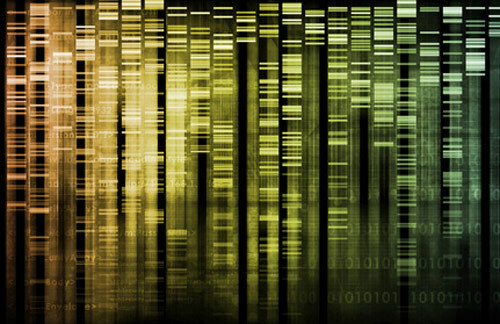 “Most large-scale sequencing teams use the bam file format to align reads to the genome. You can run bam files through any predictor program to come up with your own variant calls,” she says. In storing variant calls, you might run into trouble because definitions about what you consider and call variants and actually put into a variant file can themselves vary, according to Dr. Mardis. “We either need to warehouse genomic data as bam format files or throw all the data away and keep the biological samples in a biobank,” she says. “Data storage is becoming more expensive than data production. And regarding data production, competition will come in the future with new DNA sequencing platforms that will drive the costs down further. John Sterling is editor in chief of GEN. This article was originally published in the June 26 issue of Clinical OMICs. For more content like this and details on how to get a free subscription to this new digital publication, go to www.clinicalomics.com.